Nadia Jamil is an artist as well as a philanthropist. The actress has always worked to raise awareness for justice and helping those who are in need of help. Nadia Jamil has suffered from seizures and has had health issues for years now but the actress always has highest spirits and an even stronger strength and will power whenever she fights back. 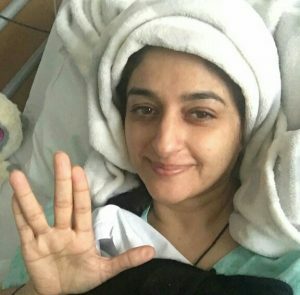 Nadia Jamil was not feeling well but the actress still took time to inform her followers about her health and she is definitely a role model for all the people out there on how to remain positive and always smile. Nadia is still feeling very weak but she definitely has high spirits. 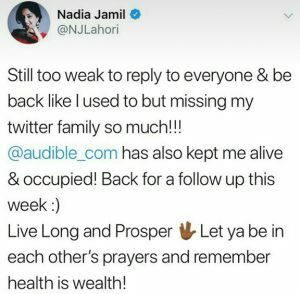 We wish Nadia Jamil a speedy recovery and ay she always remain this strong and keeps preaching positivity and strength!